If opening the door to unlimited opportunity for young folks is as exciting to you as it is to us, please donate 10, 25, 100, 500 or 1000 or more if you are able. Eagle One is a 501C3 Non Profit Corporation under our parent name, Direct Action Inc.
Every donation helps no matter how small. Please contact me at any time to hear about the program and to learn of the successes of the hard-charging young men and women in our program. Thank you for visiting our Navy SEAL and Special Forces candidate training page. Our 501 C 3 Non profit program is open to men and women ages 16-32. Others are welcome to attend and join if you meet the standards and can attend regularly so please contact us if you wish to raise the bar in your own personal and professional life. 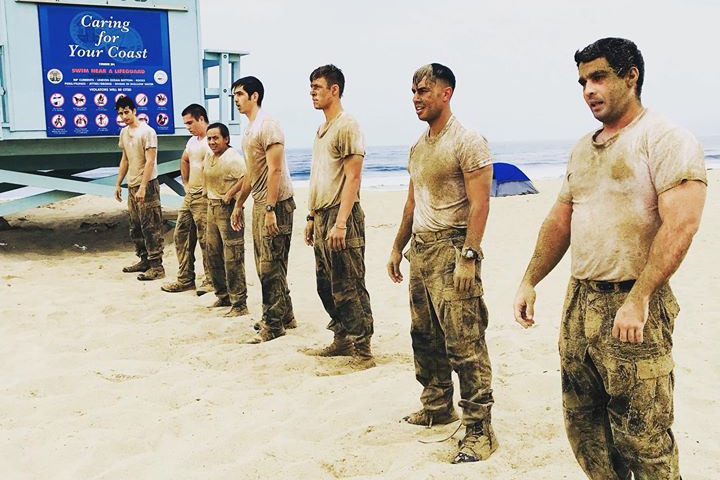 For over a decade, our group of Current and Former Navy SEAL instructors has prepared, mentored and trained some of the most successful BUD's candidates and Navy SEAL Team members in the country and we are quite proud of their accomplishments not only in training programs but in the field around the globe. 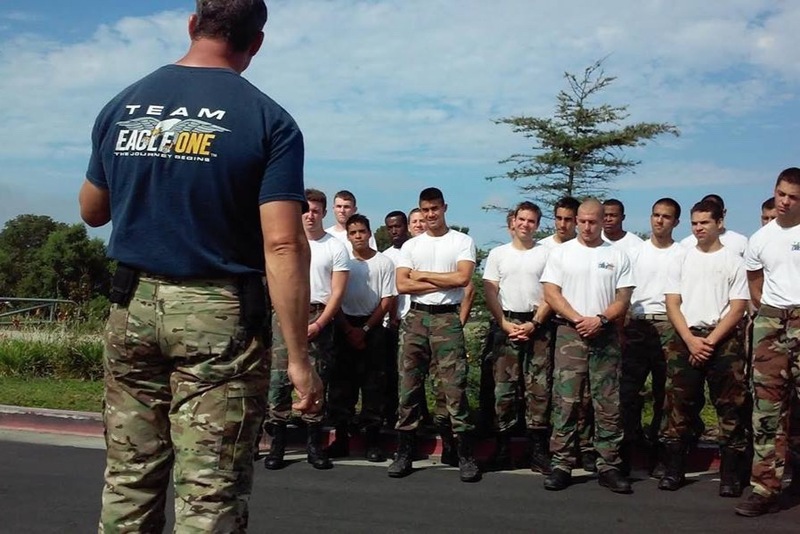 What you may not know is that Eagle One is a mentor program so while our program is based on becoming a highly successful Navy SEAL, and is the most successful program in the country, half our candidates who become Eagle One Teammates go to College, Fire and Rescue, or Police and Sheriff departments. The Eagle One program makes futures possible because we recognize potential and we develop it no matter what professional field our candidates choose. The Eagle One Program is, and always has been, free for the candidates. Many of our candidates come from very diverse and challenging financial and family environments. It is a large part of our mission that these highly motivated young men and women not be kept from the highest level of instruction and mentoring because of financial, social, or educational barriers. At one time our diversity program was sponsored directly by the Navy but due to budget cuts that is no longer the case. For the past seven years, our instructors have volunteered their time so that these young men and women can be the best most well-rounded candidates that the Navy has entering into the Special Ops. Programs. Here is the problem; With volunteer hours alone we cannot provide these young men and women with the number of hours per week, the event and equipment fees, or the facilities required for their success in their personal and professional lives. 4. Gear rentals and fees for state parks, mountains etc. My promise to you is that our standards for our instructors and our students will remain at the highest level. We do not get rich doing this as so many fundraising programs seem to be focused on lately. Our focus and our spending are on the absolute necessities of the program. It is our duty and personal responsibility to mentor and train these young men and women so that they meet the highest moral, ethical, physical and mental standards possible in today's complex world. Our instructors work at a deeply discounted rate because this program and the future of our communities are that important to us and it is worth our time and effort. The program works: BUDs training has an average drop out rate of 80%-85% per class. For the past ten years, the Los Angeles local team has had two candidates out of 60 ring out or D.O.R. from the BUDs training program. That is a success rate greater than any other program in the nation! That is amazing, and the effort of these young men and women is amazing. We are relentless in our efforts to increase that already spectacular success rate, just as we are relentless in our pursuit of helping more young men and women succeed at high level in EVERY civilian and military field that they choose as they experience their unlimited potential. If that is as exciting to you as it is to us, please donate 10, 25, 100, 500 or 1000 or more if you are able. Every donation helps no matter how small. Please contact me at any time to hear about the program and to learn of the successes of the hard-charging young men and women in our program. Welcome to 2019! Last year Team Eagle One helped over 200 young men and women find a level of themselves that they never knew existed. As you know many of those candidates went on to become proud members of special operations and other armed forces. What you might not know is that over a hundred of them found that what they really wanted was to go to college, to start a business, to apply and receive American citizenship, and to begin volunteering in other communities in need. Yes this photo is Eagle One. Developing young men and women, and helping them see that they are only limited by their own efforts, THAT IS EAGLE ONE. Please help us meet our goal by donating and sharing this post far and wide. Eagle One is a 501C3 Non Profit corporation and your donations are tax deductible and so very much appreciated. Lead from the front. Hooyah! "Coach Mac"
As I type this, there is a group of students in a BUD/s training class in Coronado who are all going through Hell week right now. 5.5 days of going as hard as you can, non-stop, day and night. Its cold, its wet and its exhausting and the class has lost over 40 BUD/s candidates since Sunday night at 2100. When a teammate leaves hell week, he has achieved a level of understanding of himself that he will never ever lose and it can never be taken away or minimized. The bar has been raised and the default setting eradicated. I am proud to say that The Eagle One program has only had two of our candidates quit their BUD/s program in Coronado in 10 years! That makes this program the most successful in the country! We now have 9 candidates in the classes that are current and underway! That is how meaningful this training is to the lives of young men and women around this country. Literally, hundreds of young men and women have raised the bar in their own lives during and after their time here at Eagle One. 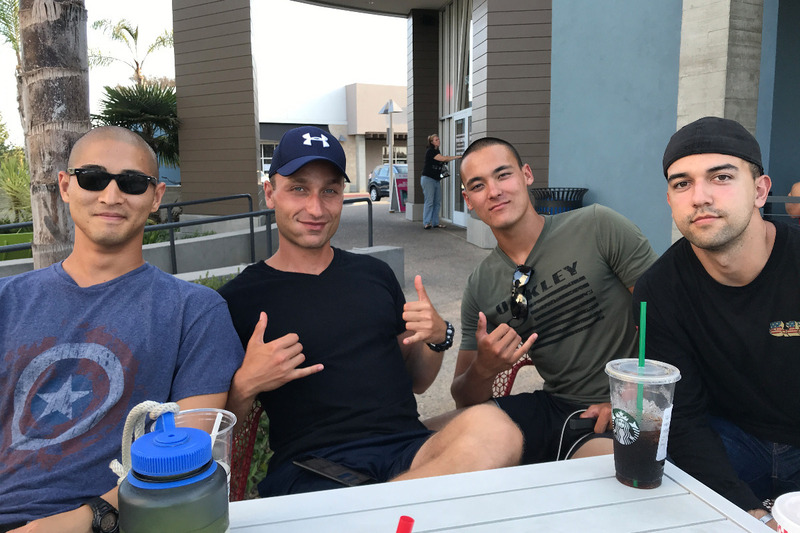 Even those who decided that the military wasn't for them because this is a mentor program and it is our duty and privilege to mentor these young folks down the path that best serves them and at times, that is not the military path. 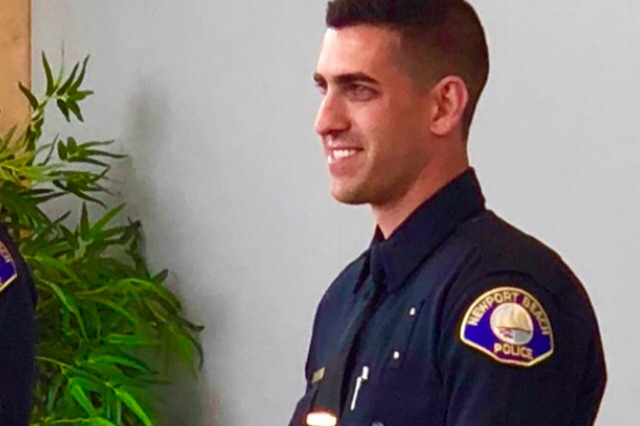 This candidate was not one to be deterred from a life of service and giving so he quickly created a new, "Plan A' and, as one would expect from an Eagle One candidate, he graduated top of his LAPD class. This top graduate award gave our Eagle One Teammate his choice of duty and he chose one of the roughest parts of Los Angeles because he felt he could do the most good there. This is what Eagle One does and this is what our candidates do in and out of the military, on and off the force, at home or at work, with their families or while out helping yours. In today's world of negative media, hostile messages and he said, she said politics, there are constant demonstrations of greatness that can easily go unnoticed. Today I share this demonstration with you and every few weeks I will share another. I hope they benefit your life as well. Each one of you participates in something great every single day. It can often seem thankless and maybe even hopeless but some of us notice you, holding the line, in your own personal and professional lives. To each of you reading this, Team Eagle One sends you a mighty, HOOYAH! You have helped us over the years and we thank you. Your gifts and donations to us keep giving to the community and they keep giving to the world both here at home and overseas. That is LEGACY! Keep leading from the front. Hello All. Just this last week I was in Coronado at BUD/S training sitting with some of our candidates. As I looked around I realized that we have 9 candidates in training at once! 9! This self and donation funded FREE program has More candidates succeeding in their chosen program than any other fully funded or military funded program in the country! YOU DID THAT! 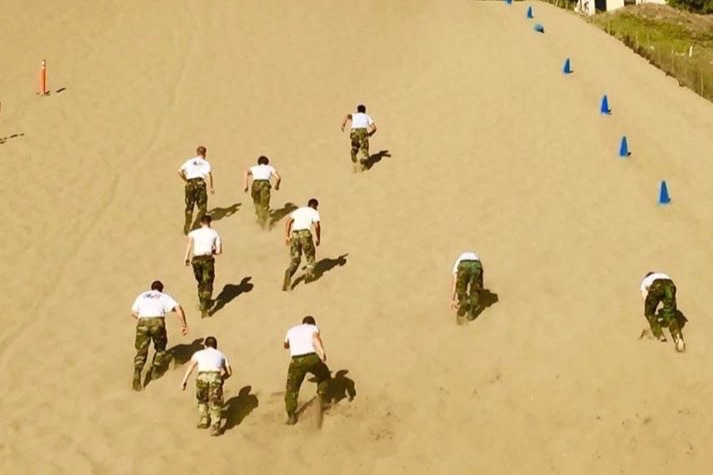 Some in Bootcamp, Some in BUD/S prep and some in training. As we were sitting there we got a text from the Middle East from one of our Teammates now deployed and doing GREAT work that I cannot speak of here for obvious security reasons. ALL OF YOU helped make this happen. ALL OF YOU helped create a 96% graduation rate in BUD/S when students have spent 6-12 months here in our FREE program. There are times when I've asked myself if I and we are making the difference in the community, in the program and in the lives of these young men and women. This IS NOT one of those times. I am surrounded weekly by the success stories that come from our candidates down range, In their SEAL Teams, In their colleges, In the police or fire department, and in their families that they are setting the example for. Thank you for your help and please donate today or whenever you can. We are a non-profit so all donations are tax deductible and whether it's 50, 500 or 5000 dollars it MAKES A DIFFERENCE! Hooyah and lead from the front in your own lives. Thank you. NOW enough of that, Please help me raise 3000 dollars in this current drive so that I can raise the bar a bit and get our pool funding back so I am not sending them into the program unprepared. Thank you for being here for them. Thanks again for your great support last year. As of this coming Saturday we are re opening our San Diego candidate team!!! Not only does this program boast the most success of any program in the country, we also help young people who did not feel that the military is right for them right now. This year you will see those young men and women at work at LAPD, LA County Fire Department and several junior and four year colleges including USC and UCLA! This happens because of your support and our continued efforts at making sure that each and every 16-28 year old who enters our program has an opportunity to be in the top 5-10% of whatever dream THEY DECIDE to pursue with their new found confidence and awareness of their true potential. You are awesome! Keep leading from the front. Hooyah! I have been a member of Team Eagle one for about ten months now. The level of mentorship that this program provides is the best you will ever find anywhere. Coach Mac has showed me my individual path to success and what to do to become a man worthy of achieving my dream of joining the elite teams of our US military, or just winning in life and for this I am forever grateful. This program provides mentors that are dedicated and motivated to cultivate the next generation of our nation's elite warriors. To be a part of this experience is not only awesome, but is competent life changing. Coach Mac has instilled in us mental toughness and working as a team. Team Eagle one is where I have begun to make it in my mind and has mentally, ethically, morally, and physically primed us before going to our individual military training programs. This team is awesome. Team Eagle One has been a vital part to my training. I have been a part of it for about a year, and the difference from where I was before til now is night and day. I showed up and was surrounded by like-minded, driven and motivated men like myself, and we all push each other to be the best that we can be. The coaching and instructor staff are friendly, professional, and knowledgeable and always positive. Team Eagle One sets young men up for success in the United States Armed Forces by teaching them core values and leadership skills necessary for success. Thank you Team Eagle One and all the coaching staff for everything you have done for me. Excellence of character is necessary for achieving the dreams of value. Team Eagle One not only identifies the virtues of excellent character, but it slowly structures and shapes this necessary ethos into a way of life for its members. Through hard work and loyalty, and committed, professional, coaching Team Eagle One shapes boys into men worthy to serve the USA. I have been fortunate enough to be a part of Team Eagle One for a year now. When I began my training, I had the desire to push myself mentally and physically. For the purpose of becoming a better version of myself. As a single mother of four, I wanted to be physically, emotionally, and mentally stronger to have the ability to protect my children from any given danger. During my journey with TE1 and under the instruction of Coach Mac, I have decided to pursue a career as a Firefighter. Coach Mac has shown me that with "put out like your life depends on it" work ethic, teamwork, and training, anything is possible. He has never treated me differently for being a civilian or a female. On the contrary, he has always seen the potential in me and pushed me to recognize it in myself. That is true leadership. Every lesson learned at training has enhanced parts of my daily life. There was an unfortunate incident involving my 12 year old daughter while on her way to school. She was sexually harassed by a 32 year old man. I was able to identify him, follow him 10 miles away from where I found him, and assist in his arrest. I have Coach Mac to thank for this! His training and knowledge prepared me for these unsavory moments in life. Thank you Coach, for your time and your patience, and for the little piece of yourself that you leave behind in all of us. Thank you for your donations, this program molds our military heroes of tomorrow. Team Eagle One has pushed me further than I have ever pushed myself before. It has not only helped me grow in a physical aspect but has also helped me become more mentally tough. Coach Mac is a great mentor and makes sure we are prepared for the life we are choosing to live. I highly recommend joining this program for anyone who wants to join the Armed Forces. I have been a member of Eagle One for the past few months and the team has challenged me to push myself both physically and mentally. Coach MacLaren has proven to us that we can achieve physical feats if we can conquer our mind wanting to give up. Eagle One has also been a great character builder teaching us that there are two ways to do things... right and again. Team Eagle One has helped me grow mentally and physically beyond what I thought I was capable of. The leadership and discipline of this program is the best anyone could ask for if they want to serve our nation in the toughest environments. Happy to help your amazing program! The most worthwhile program I have been involved with in years and will continue to support.